This article highlights findings from CoinDesk Research’s new ‘Spotlight Study’ on blockchain token sales (or ICOs). Based on a survey of 400+ blockchain entrepreneurs, investors and developers, the report highlights key findings in what analysts believe is one of the industry’s most exciting – but opaque – markets and applications. For more of our reports, please visit CoinDesk Research. 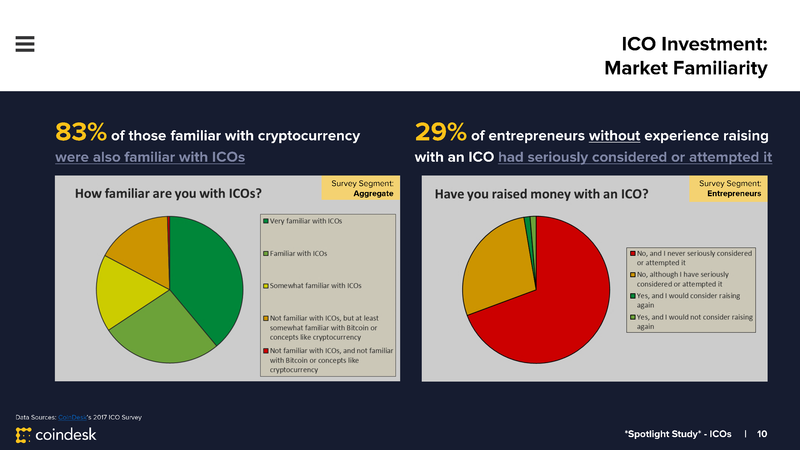 CoinDesk Research is proud to reveal the results of its first ‘Spotlight Study’ of 2017: a free, in-depth look at the current state of blockchain token sales, a fundraising and product distribution process often colloquially referred to as an ‘initial coin offering’ (ICO). Based on a survey of 400-plus blockchain entrepreneurs, investors and enthusiasts, the report highlights key findings in what analysts believe is one of the industry’s most exciting – but opaque – areas of innovation and growth. 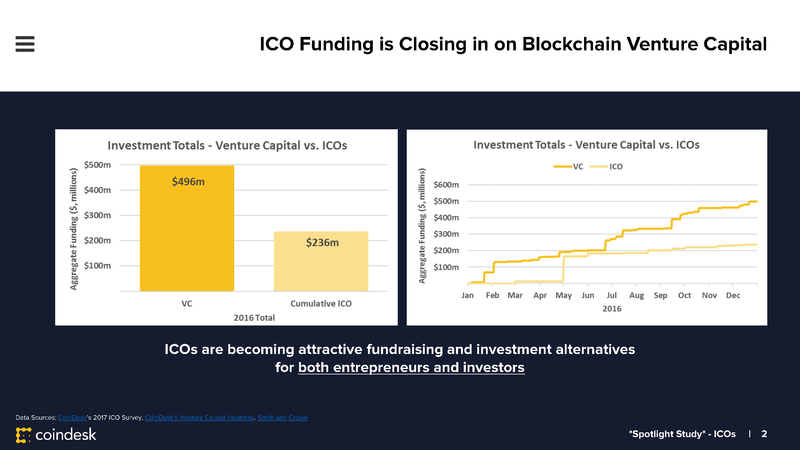 Most notably, perhaps, the popularity of ICOs continued to gain traction in 2016 as total funds diverted to such projects approached half (48%) of the industry’s total venture capital funding. Includes $152m ‘The DAO’ ICO in May 2016. While a large portion of this capital was invested in a single, failed project, The DAO, we believe the figure nonetheless hints at the potential of this growing – and admittedly opaque – sector of the industry. 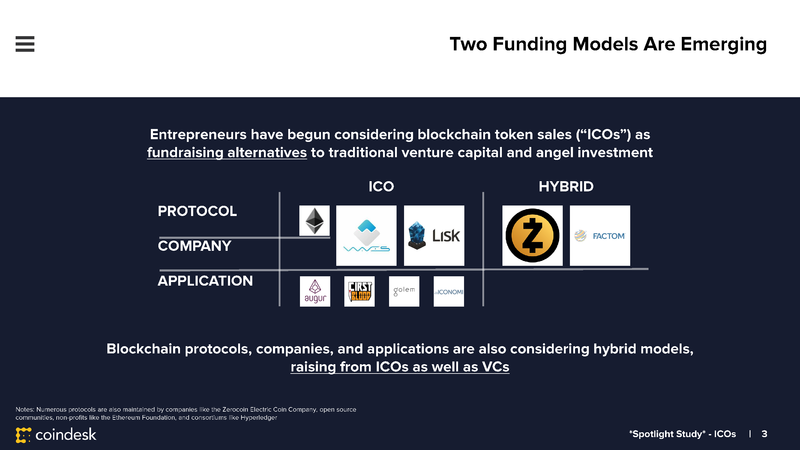 The results also revealed the start of an evolution in the type of funding coming to market, with companies and protocols like Factom exploring raising funding from both traditional venture investors and the retail public. Funds like Polychain Capital have also emerged to invest institutional capital into tokens that were recently comprised almost solely by retail investors, and now even venture firms themselves, such as Blockchain Capital, are reportedly considering issuing and selling their own blockchain tokens. 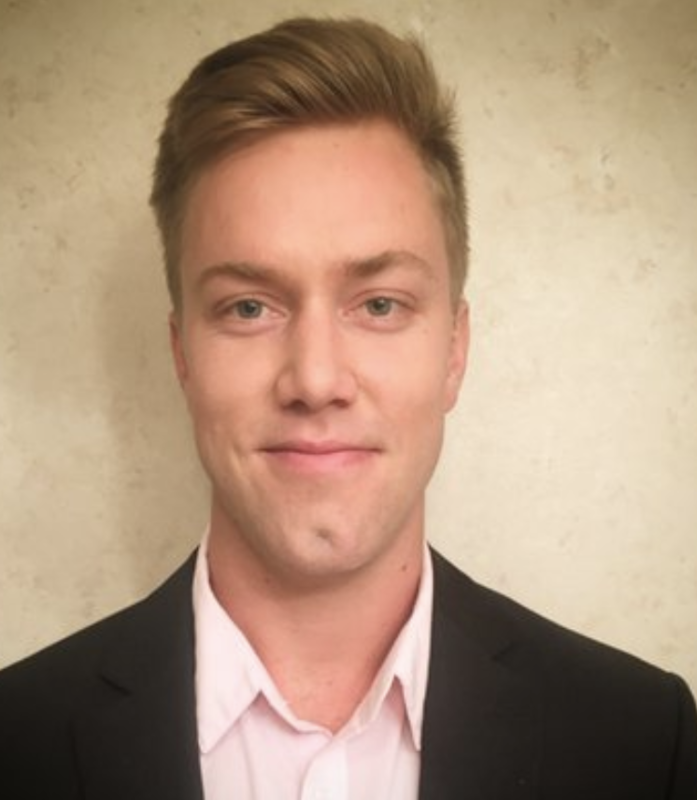 In the study, CoinDesk Research tapped into its large network of accelerators, venture capital firms, independent entrepreneurs, cryptocurrency enthusiasts and investors to get an idea of overall market sentiment, as well as the contrast between the ‘entrepreneurial’ and ‘investor’ perspectives on the ICO phenomenon. Our ‘entrepreneurial’ segment was comprised of mostly (86%) those working at startups with less than 10 employees or $1m raised or in the bank, while a vast majority (89%) of our ‘investor’ segment had significant experience investing in bitcoin and examining ICOs for their personal portfolios. Entrepreneur results were analyzed to get a perspective of how startups are looking at token sales for potential fundraising options, while ‘investor’ results were analyzed to get a perspective on the other side of the market – the actual purchasers of new blockchain tokens. 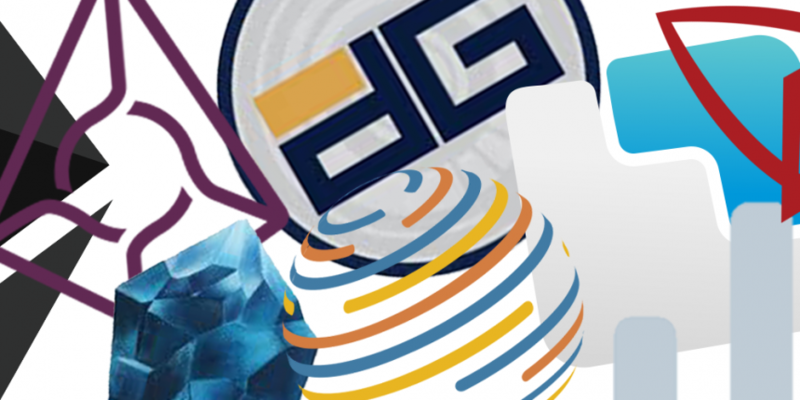 This group included retail investors and institutional capital, and all the reasons they may be investing in an ICO – whether to interact and use a new blockchain protocol or application, or purely in an attempt to profit from token value appreciation. 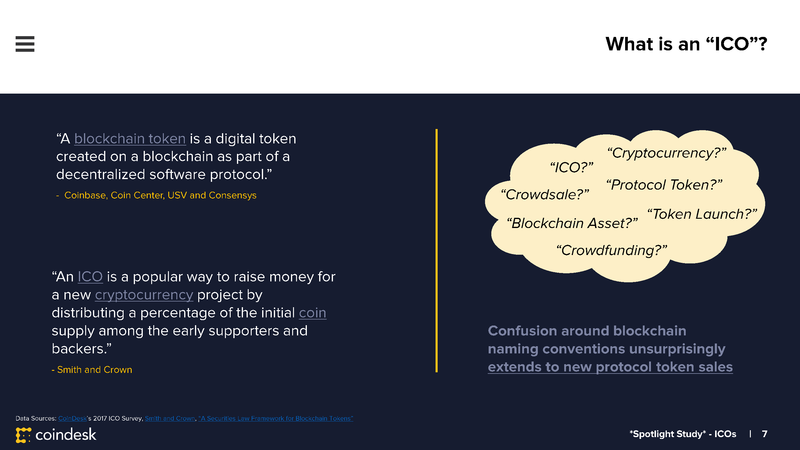 Despite the potential allure of fundraising for, or investing in, emerging blockchain projects with token sales, both the industry and the ICO trend are still very much in their infancy, and entrepreneurs and investors show a mixture of caution and interest when considering naming conventions, token structures and legal frameworks, as the results of our survey indicate. Initiatives are also developing to help inform and guide those considering token sale launches, and the thoughts behind published ‘core principals’ have started to shape the minds of those getting involved. 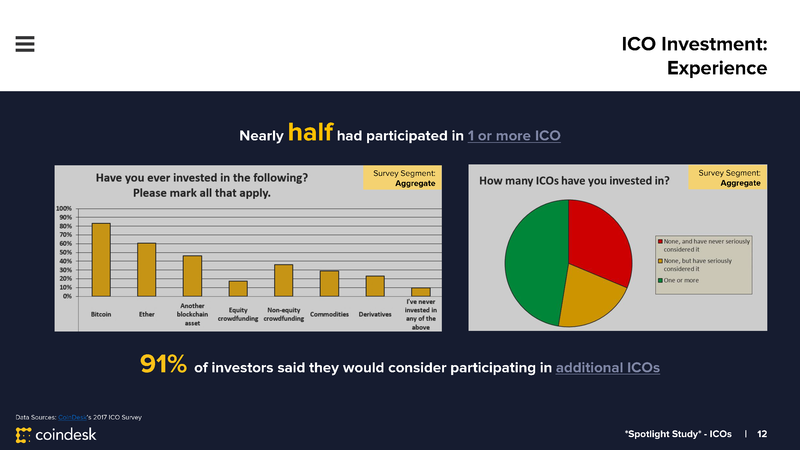 Conducted in January 2017, the CoinDesk Research survey found that a large majority (83%) of surveyed participants familiar with cryptocurrency were also familiar with ICOs, and nearly half (47%) had participated in a token sale. Perhaps most notably, almost a third (29%) of entrepreneurs without ICO fundraising experience had seriously considered raising with a token sale, and nearly all (91%) of investors who had participated in an ICO said they would consider participating in future blockchain token launches. Also noteworthy was that survey respondents had significantly greater experience investing in blockchain assets like bitcoin and ether than more traditional alternatives like commodities (for example, gold or silver) or crowdfunding (for example, startups on AngelList). 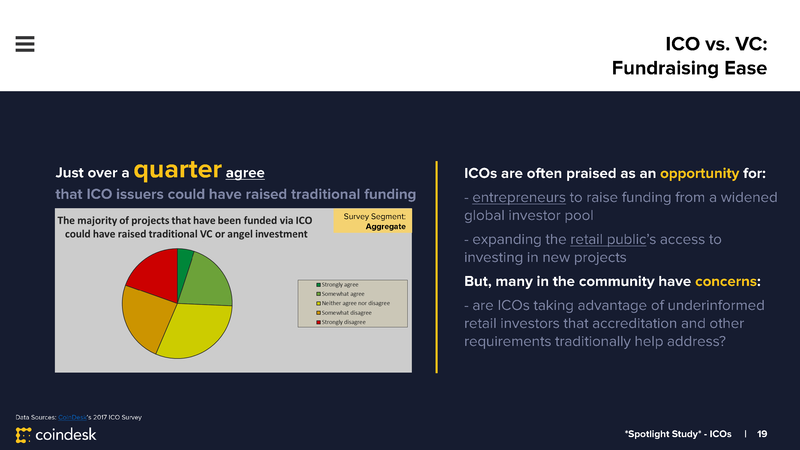 In total, only about a quarter (26%) believe ICO issuers could have successfully raised traditional venture capital or angel investment funding as an alternative to their token sales, while nearly half (44%) did not think traditional fundraising efforts would have worked. The survey further revealed that respondents believe institutional capital will soon begin to control ICOs over retail investors, perhaps suggesting the quality of token sales and the blockchain projects they support is seen to be increasing, causing more traditional investors to begin to take note. 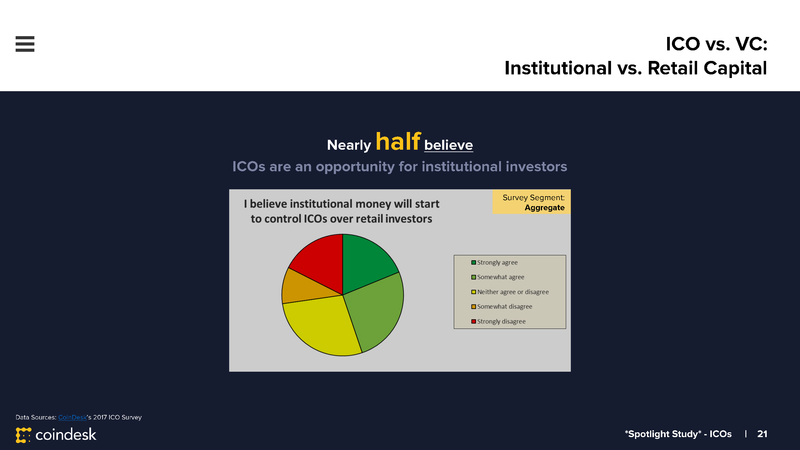 Nearly half of all respondents (45%) think token sales are becoming an opportunity for institutional investors, while only just over a quarter (27%) thought retail investors would continue to dominate token sale allocations. These weren’t the only findings from the extensive survey, however. For more findings and takeaways on ICOs and the full blockchain ecosystem, including an expanded deep dive into enterprise blockchain projects, look out for our full 2017 State of Blockchain research report set to go live next week! For our previous quarterly and annual reports, please visit CoinDesk Research.